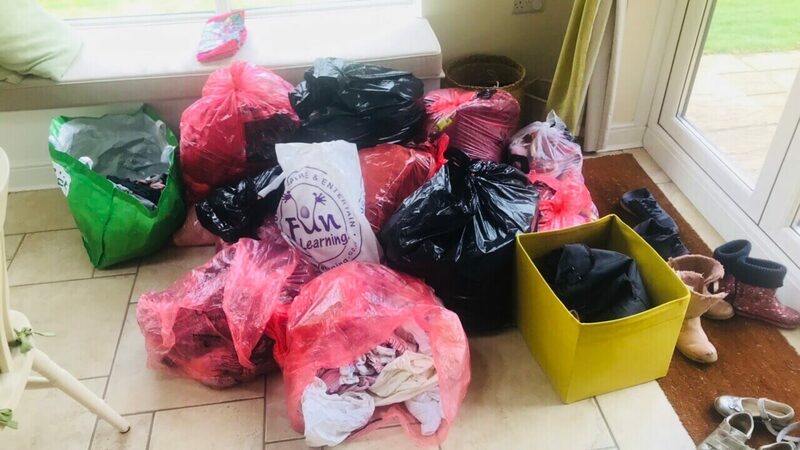 This Mum’s Side Hustle Makes Money From Unwanted Clutter : Other People’s! Our loft and garage have had the most monumental clear out in the last couple of months. I wrote a while back that we were waiting for planning permission for a house project. Well we have it approved now and need to get rid of all the things we are storing that we don’t need, as we’ll be gutting the existing house. Not an insignificant task as I am a little hoarder when it comes to the kid’s stuff. One of the mums at nursery has a great side hustle. She makes money from unwanted clutter; other people’s! She fully manages the process of selling other people’s unwanted stuff for them and takes a cut. She’s saved me a huge amount of faff by sorting and selling for me the things I have been hoarding for no reason. We emptied the loft, put anything and everything in to bin bags and called her. She came over to our house and took the mountains of bags home to sort, photo, advertise, store and eventually sell. If you are time poor like me, or just fed up of people messing you around on Facebook selling sites, it’s a GREAT service. Also, if you think you’d like to make some money with no upfront costs, this might be the side hustle for you too. Here’s Vibeke, The Selling Vee. It’s a simple business model, people have items they no longer want or need, and due to modern lifestyles don’t have time or patience to sell themselves. As a full time stay at home mum, I have flexibility and time to take on the challenge. When I first have contact with a client, we agree on a mutual convenient time I can collect the items from their home address, and I ensure they are aware and agree on my selling fee. My commission is 30% of the price the item sold at; I set the prices based on achieving the highest price possible. Postage, eBay fees and all communication relating to the sale is included in my service. When the item is too big for me to collect and store at my home address, the item will need to be collected from the client’s home address. Items such as sofas, large tables and chairs, sheds etc. that fall into this category, and I’m happy to be present at the client’s home to meet the buyer if requested. My business is based on trust; from when I collect the items at a private home, to setting the best price achievable for a sale, to bringing them an envelope of money. We need to trust each other; I need to trust the items are in working order unless the client has told me otherwise, and the client needs to trust me with their items. During the year I’ve been doing this, I have sold items for about 25 people. I have sold everything from a pair of gloves to pushchairs and sofas. 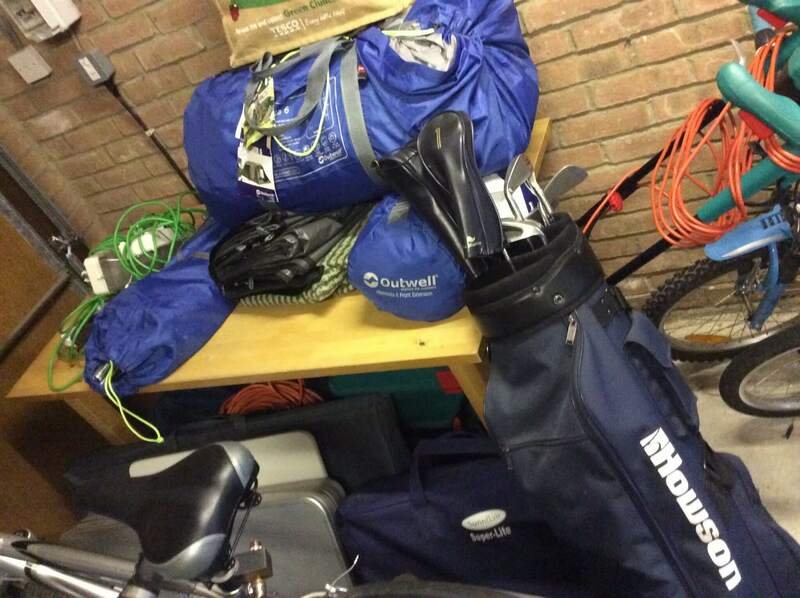 Some people have just a few single items for me to sell, others have emptied their loft, garage or kids bedrooms! 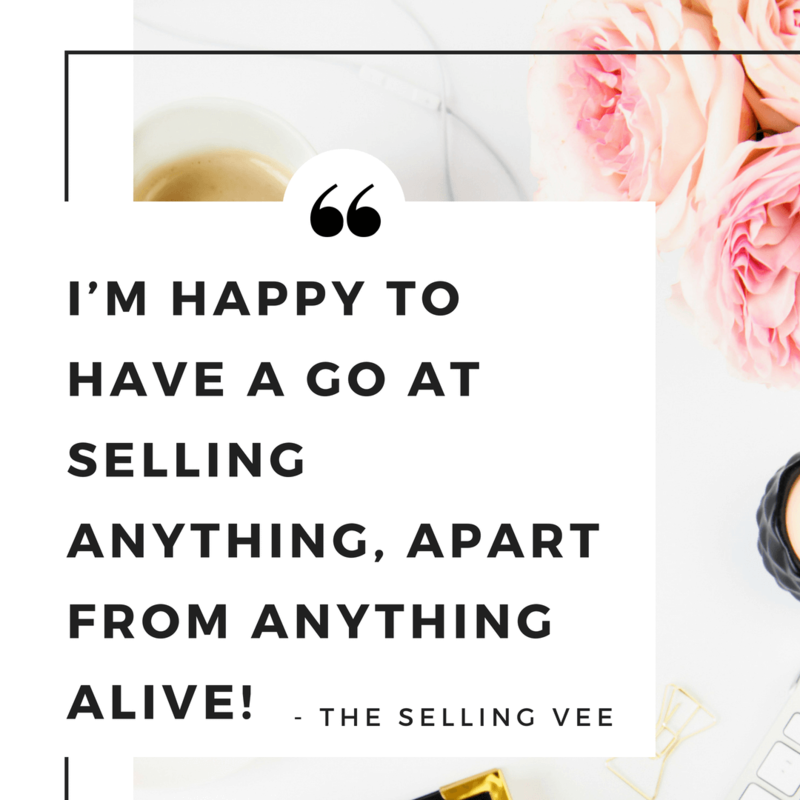 I welcome any amount, and I’m happy to have a go at selling anything, apart from anything alive! Quite a few of my clients come back with more, once they have had a taste of the “pocket money” I can pass on to them after their clear out. Often people suddenly find more things around their house and garage which they never use, and then pass on to me. I also sell furniture, porcelain, pots and pans, interior decorations and generally most things. But one thing I say no to, is knives. How long have you being doing this? I have been selling for other people since about May/June time last year. During that time, I have made enough to pay for a number of large items for the family (including weekends in Centre Parcs) as well as a few extra treats for the family. Where do you sell the items? I use mainly eBay and Facebook, but have recently tried Shpock with good results, as well as Gumtree. Certain specific items, for example collector’s items, tend to sell better on eBay as there is a much broader captive audience. With items such as buggies, I offer to post, which does seem to encourage sales. Also, the buyers do seem to honour the bids more on eBay, and will collect when agreed. eBay has a bigger audience, and they use PayPal, for safe payments. Facebook is good for local selling and is quick to post on but you do get some peculiar comments sometimes – and people will collect from my home address. I do not offer collection after 8pm, although I do sometimes allow an evening pickup when my husband is at home. A lot of new mums and stay at home mums prefer to collect in the week day daytime anyway, and I’m fine with that. Many a times have I hovered at home, doing stuff around the house that needed doing anyway, while waiting for a buyer from Facebook who then never turned up. If it is suitable for eBay, price wise, this is where I tend to achieve a higher price. But it does depend on the item. I use a 7 day auction and store the product while we wait. eBay is brilliant when I’m away on holiday too – I do the listings before I go away, make sure they end on the day I get back, or the day after, and it’s doing its own selling thing, while I’m away enjoying family time. What items sell for the highest & lowest prices? For some reason, stair gates seem to go like hot cakes! They usually sell at £10, almost no matter what condition they are in. 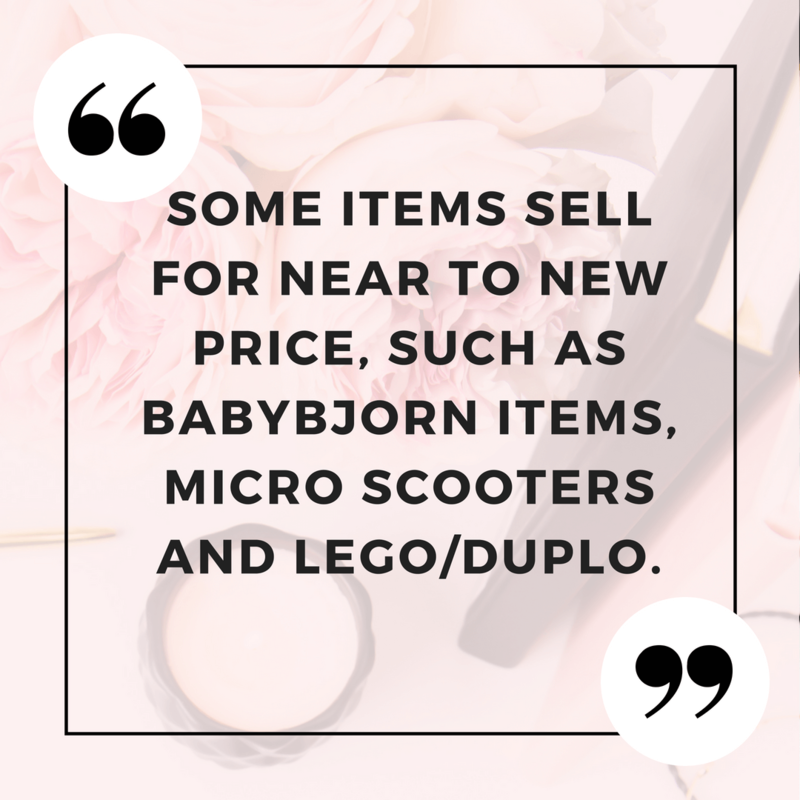 Clothes, especially new born, are very hard to sell, and they sell for not very much money, and it does not matter even if it is almost new and a really decent brand. Sometimes, it doesn’t even sell on eBay. Men’s clothes sell much easier than ladies clothes, again this is on eBay – I have only ever once sold adult clothes on Facebook. What’s the funniest item you’ve ever sold? Probably the wicker basket chest, which was broken and coming apart, but I still sold it within a week for £5. Or my husband’s 20 year old dry suit for dingy sailing, selling on eBay for only about £10 less than a new one would be in the shops. What are your top 3 tips for maximising online selling profits? Be honest about the item, buyers like detailed and clear descriptions of what they are about to purchase. Be realistic with the price you’re trying to achieve. Check out other identical/very similar items on Ebay and Google them too. Take good, clear pictures to show the item in its true state, and wherever possible, offer postage. How do you advertise your services? So far it has been word of mouth, clients recommending me and a few local mums have used my service and recommended me to their friends and family. But after I had business cards printed 2 months ago, more new clients from further afield have come to me, as I have left stacks of cards with other businesses. My fitness instructor and the hairdresser I have used for years, both have cards, and so does my physio, from where I’ve already had 3 new clients so far. If you are local to Milton Keynes, you can contact The Selling Vee here: Vibeke “Vee” Hathaway, 07905 209 310 – WhatsApp me or Facebook messenger. I am so happy with Vee’s service. I’m still waiting for my ‘pocket money’ as she calls it (as I gave her so much stuff to sell!) but will update you when I know how much she’s made for me from my unwanted junk. 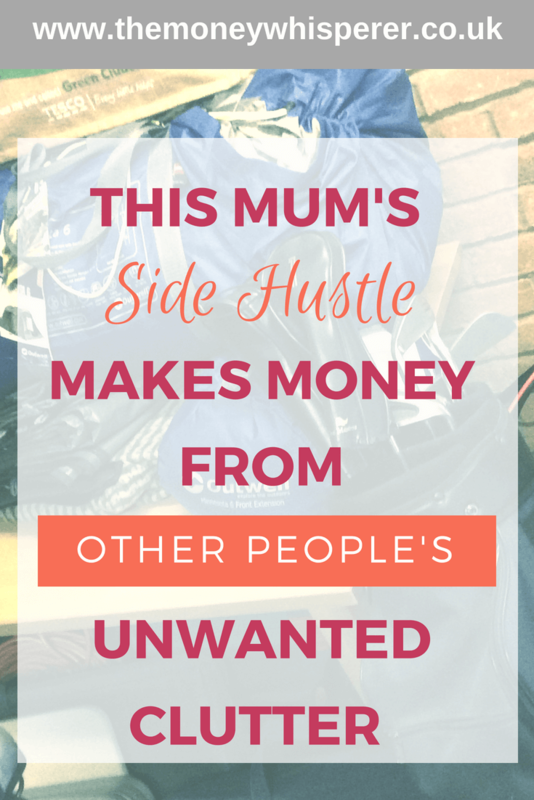 2 Comments on This Mum’s Side Hustle Makes Money From Unwanted Clutter : Other People’s! Great advice about making cash from clutter. I should use this kind of service, as I never get round to listing stuff myself. Precisely! It would be nice to keep the full amount for yourself but 70% is better than none at all if you never get round to it….